Argos is currently running a promotion giving you gift vouchers if you spend a certain amount in one transaction. The gift vouchers must be used by 19th June 2018. You can read more about this offer here. In addition you can get 25% off indoor furniture if you spend £150+ as explained on this Argos page. Clubcard and Pay + are still giving you extra Clubcard points when you use Pay +! Pay +, if you haven’t heard about it, used to be PayQwiq, but was changed to Pay + (say Pay Plus) a while ago – which looks a bit silly but is easier to pronounce and spell. 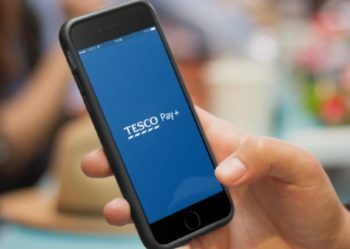 It’s Tesco’s payment app which let’s you pay your shopping and automatically collect Clubcard points. Pay + works a bit like Apple or Android Pay, but collects your Clubcard points as you pay and let’s you spend up to £250 in one transaction. Until 31st December 2018 you will get 1 extra Clubcard point for every £4 spent. Can more than one person use the same clubcard account with Pay+ ? ie can I and wife have the app on both our phones, but with one clubcard account? How do I add another phone? To add another phone to your Tesco Pay+ account, download the Tesco Pay+ app on your new phone and sign in. Your new phone will then ask you to enter an authentication code. You can find this code on your first phone. To find the code, open the app on your first phone and head to the menu. Choose Phones if you’re on iOS or My Phones if you’re on Android. Then add another phone before getting your authentication code. Enter this code in to your new phone, set up your PIN and you’re ready to go.